Never in a million years did I ever think I would be on the cover of my hometown chamber magazine. 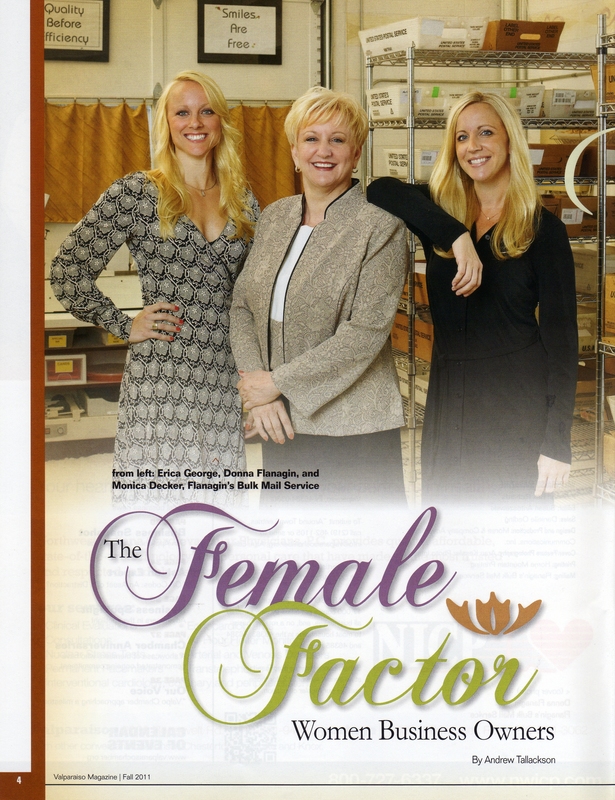 Along with the cover and article came the ability to have an inside picture with my beautiful daughters. It was the sweet icing on an already delicious cake. 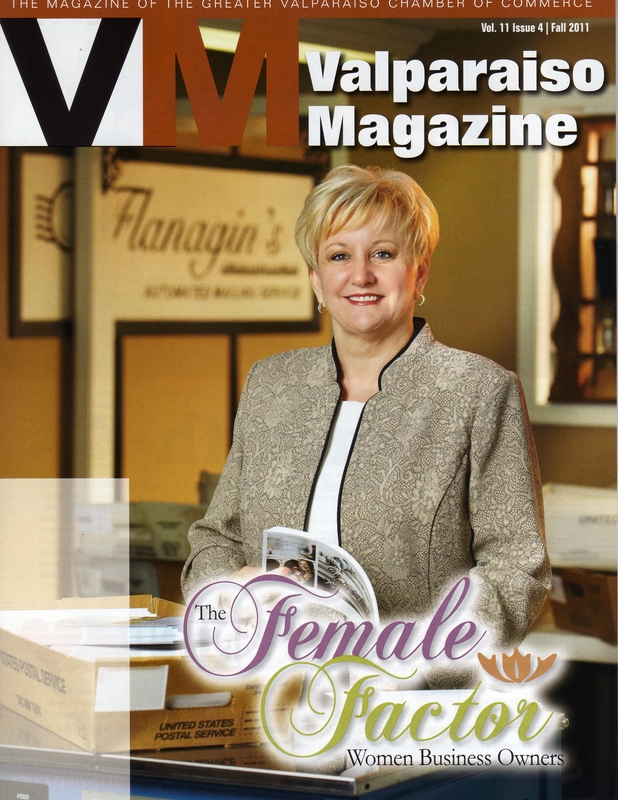 What an honor to be featured with so many amazing women business owners in Valparaiso. To view the entire magazine click here. Thank you to the Valparaiso Chamber of Commerce and especially to Rex Richards, Susan Antoszewski, Danielle Oeding, Aran Kessler and Andrew Talleckson. It was an amazing experience. Random me: I have many creative ideas, but sometimes I am afraid to bring them to life. I’m working on improving that about myself. a. Intense and especially ecstatic or exultant happiness. b. The expression or manifestation of such feeling. 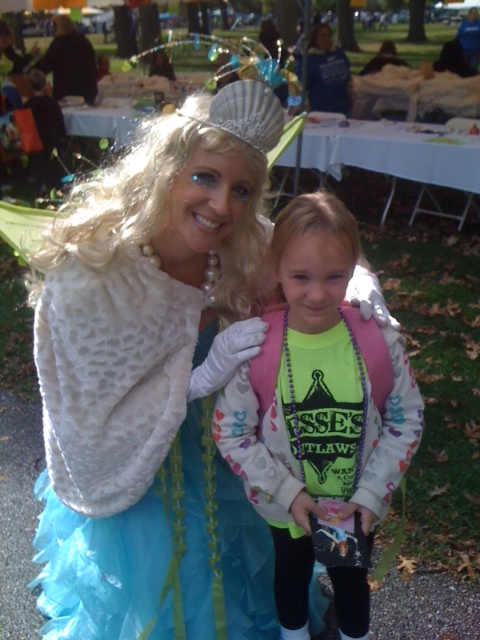 My dream to be a Flanagin Fairy came true this year at the Popcorn Fest. I had seen them in the parades before and I always clapped and waved at them. I can’t believe that they picked me to join them! I loved dressing up and having my make up done by Crystal Snowflake and Ella Seaswirl. The very best part was when Fairy Godmother gave me my very own enchanted wand! Walking in the parade was a blast, I loved seeing all of the people! 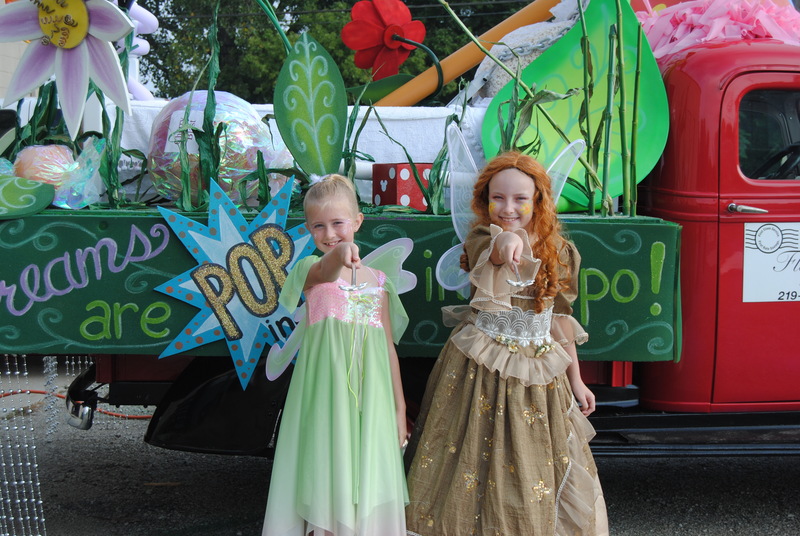 It was so fun getting to walk with my friend Scarlet Sunflower! It was a day I will never forget. 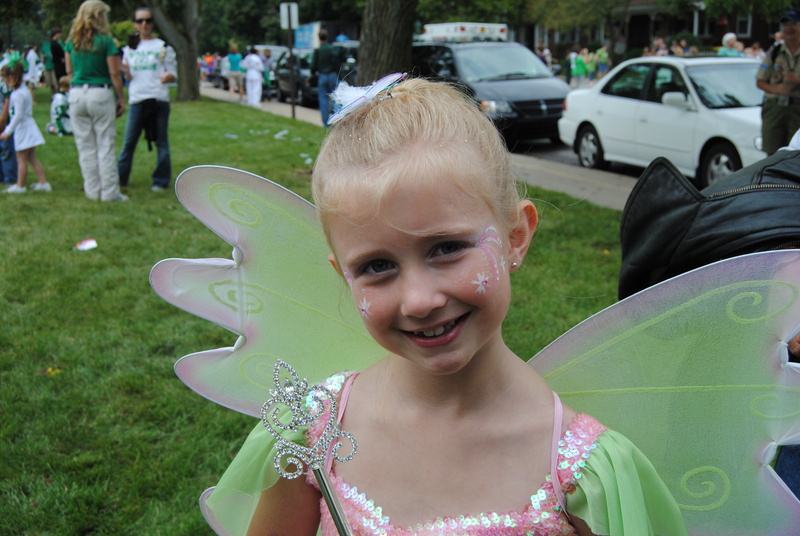 Thank you to the Flanagin Fairies for making my dream come true! We are looking for ways to make more dreams come true, if you have any ideas leave a comment. Random me: Life gets better every day. Caution: The following post should only be read by people who “believe”. The Flanagin Fairies..why do we do it? Why do we spend hours on our day off dressing up as a fictional characters? Why do we travel an hour to an event knowing it might be rainy and cold? 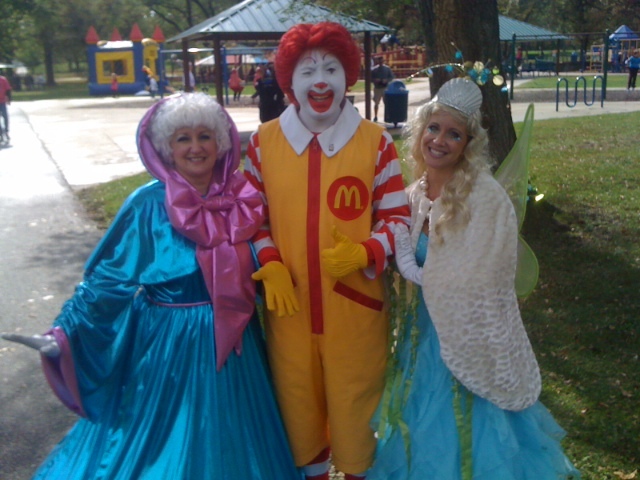 Why do we take special care to stay in character and not let the children see us without wings and wigs? Simple, because the of the children. …when a mother asks us in front of her daughter if we know the tooth fairy? We tell her we sure do that we had tea with her just yesterday and the mom turns to the daughter and says, “see I told you the tooth fairy was a “she”! …a parent tells you their daughter keeps your picture next to her bed or our pictures are still hanging on their refrigerator from last year. ..when you meet a little girl named Katie, who has juvenile diabetes and her entire family is there to raise money for a cure. We have never had any child ask us who we are and why we are here!! You see, a child just BELIEVES. Random me: I enjoy watching the real housewives TV shows. It all started with one mailing. 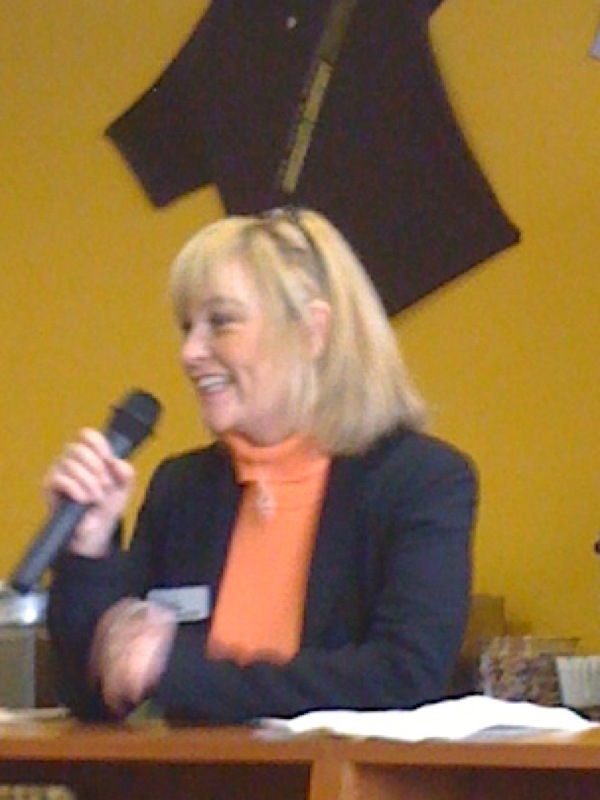 15 years ago Debbie Thiel landed our very first mail customer and the rest is history. 15 years of nothing but fun, friendship and laughter. Well, maybe some ups and some downs but…. quite honestly, it seems like just yesterday. THANK YOU DEBBIE, FOR HELPING MAKE THIS BUSINESS WHAT IT IS TODAY. Random me: I just don’t have what it takes to be a sales person. Just awarded another 15 yr pin. Congratulations Deborah Thiel! One thing I always tell a new employee is that I hope we have a very long working relationship. I also tell them that I don’t want them to fear the day they have to tell me that they are moving on. I don’t want them to fear my reaction or the impact it is going to have on the company. I don’t want them to lose sleep the night before nor feel that they will be letting us down in some way. I believe they would not leave unless it was the best thing for them, their family and their future and that should always be their top priority. Yes, it may be difficult to replace them. But as a business owner I know nothing lasts forever. Random me: I’m so blessed because most days, it just doesn’t feel like work.